It has been well-established that Bloods are a damn fine band. Roll that sentence around in your mouth a few times. See how right it feels? It’s like the final piece of a jigsaw, with the rest of the puzzle filled out with bands like Royal Headache and Straight Arrows. Most of the bands have had their debut albums released to rapturous applause. And now, Bloods get to show off what has been stewing in their instruments for so long. 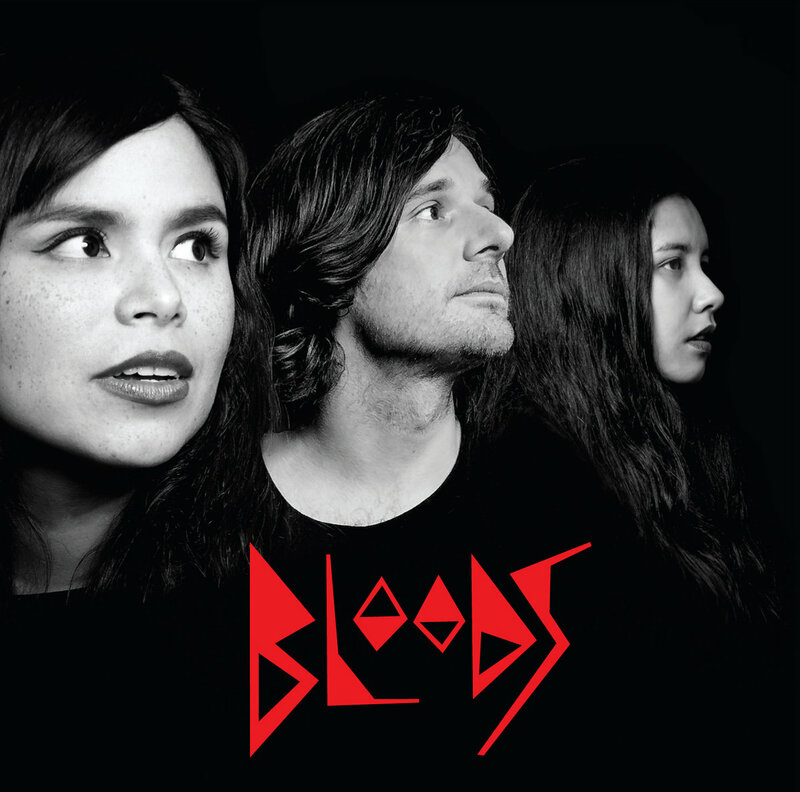 There are two main reasons to love Bloods, the first one being that they are damn near a perfect pop band. Their songs make you want to dance, and it’s done unashamedly, with all the exuberance and authenticity of a 6th Grade re-indtion of Grease. The second reason as to why you must love Bloods, is because they’re not afraid to shove that pop love through the muck. There’s plenty of throaty shouts, furious riffs and scuzz to satisfy those who love things delivered with a bit of blood ‘n’ guts. Bloods marry these two styles in harmony incredibly well. Especially on their initial 7″s, Bloods knew how to do something crazy interesting that not a lot of bands could figure out how to do, or at least do well. They took something old school, specifically 60’s/70’s doo-wop, and collided it with the modern love for thrashing on some strings and snares. However, it’s always a bit of a gamble when really great garage bands go for the full-length, in maintaining intrigue and depth throughout the course of an album. Bloods have little-to-no trouble with that problem. They parade through their whole catalogue of styles, from gentle hip-swayers like “This Country” and “The Animal”, to bonafide headbangers “Boys Like You” and “What Do I Care”. They don’t spare any time with flinging a whole mixture of emotions into the blender, and ending up with a smoothie of garage-pop goodness, with bonus kale. But the most interesting parts of the record are when that old flame that Bloods burn so brightly, and contrasting it with these points of genuine displays of weakness pouring from lead singer MC. That’s not meant as an insult, saying that MC brings down the band, but rather she adds strength by baring a whole shitload more than people expect from the average garage record. On “College”, an enormous stand-out in the Bloods catalogue, she half-laments, half-celebrates, “I can’t pay for college, so I’ll never learn how to act right, so I guess that, this is my life”, of a Breeders-esque guitar warble. And on “Nothin’ But Time”, herself and bassist Sweetie do a spot on Joan Jett-impression by devouring the listener with a rage belting of, “Why don’t you do get a job, get a life, something constructive and contribute to society!”. To combat these moments of intensity, Bloods mellow things to a riff-based fare, that’s less filler rather than the catchy-as-hell singles that Bloods are renowned for. The awesomely maternal “Penelope”, and scuzzy Ty Segall-ish stomper “Want It”, things boil over and become the mosh-stirring splashes of furious fun that everyone loves Bloods for. To bring things to a concise point, Bloods have shown their fears and, almost as a reward, they’ve exposed themselves to a new, more-acclaimed territory. Like their partners in crime, Step-Panther, Bloods have revealed a more complex side to themselves, without losing any of the simplicity that made them so easy to like in the first place. Bloods’ ‘Work It Out’ is streaming over at Rolling Stone. It’s out on Friday. Sick.